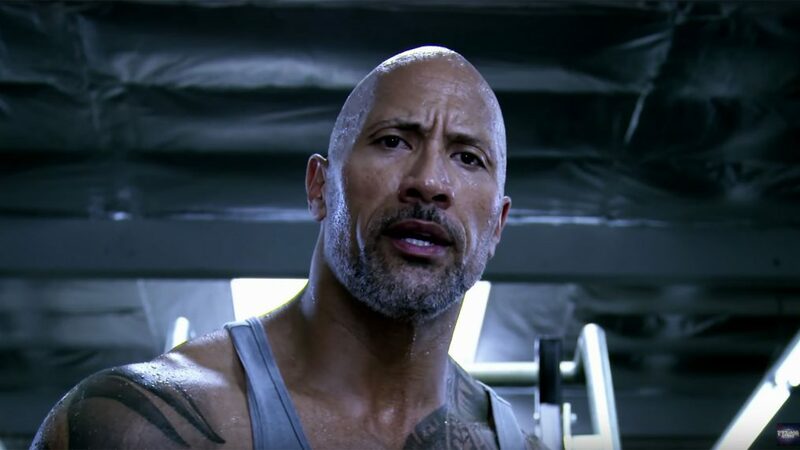 Dwayne Johnson (The Fate of the Furious, Jumanji: Welcome to the Jungle) calls on the everyday man and woman with athletic ability and ambition for greatness to join him on The Titan Games on NBC where they can prove themselves in epic physical competition. Across ten episodes, Johnson will be hosting the head-to-head challenges that will test the limits of the competitors’ bodies, as well as their mental and emotional toughness. The competitors will be drawn from all over America, ultimately finding their way into the arena of the Titans to do battle. Victory over a Titan has the winner taking the defeated Titan’s spot within the vaunted group of six Titans. Those who can keep their place among the six until the season finale will then have to duke it out between one another to become the last man and woman standing. The Titan Games is produced by Universal Television Alternative Studio, A. Smith & Co. Productions and Seven Bucks Productions. Dwayne Johnson, Dany Garcia, Hiram Garcia, Brian Gewirtz and Toby Gorman will be the executive producers. Those looking to heed the call of Johnson should head over to NBC.com/Titans. 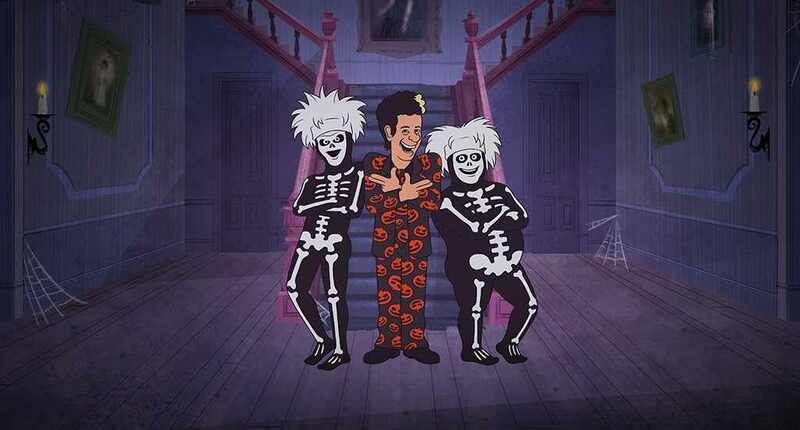 Tom Hanks will reprise the role of David S. Pumpkins from “SNL” in a new animated Halloween special, NBC announced Thursday. “The David S. Pumpkins Halloween Special” is based on the viral “Haunted Elevator” sketch from the Oct. 22, 2016 “SNL” telecast that featured Hanks as mystery man David S. Pumpkins, on an elevator wearing a pumpkin suit and surrounded by two skeleton dancers, played by Mikey Day and Bobby Moynihan. “Game of Thrones” star Peter Dinklage will also lend his voice to the special. Sketch creators Day, Moynihan and Streeter Seidell will have voiceover roles as well. Set in a small suburban town on All Hallows’ Eve, the special centers on David Pumpkins and his skeleton sidekicks who show a young boy and his sister the true meaning of Halloween, answering none of their questions along the way. The half-hour special will air on Saturday, Oct. 28 at 11:30 p.m. ET/PT. “It’s scary how quickly the original ‘SNL’ sketch caught on, and we’re thrilled that Tom Hanks is back to keep the fun going,” said George Cheeks, president of business operations and late night programming for NBC Entertainment and Universal Television. NBC has released the official trailer for Powerless, their upcoming comedy television show set in the DC Universe about a team of clever heroes who help to protect the public from the dangers of real superhero battles. The show will star Alan Tudyk as Van Wayne (Bruce Wayne‘s cousin), Danny Pudi as Teddy, Vanessa Hudgens as Emily Locke, Ron Funches as Ron, and Christina Kirk as Jackie. 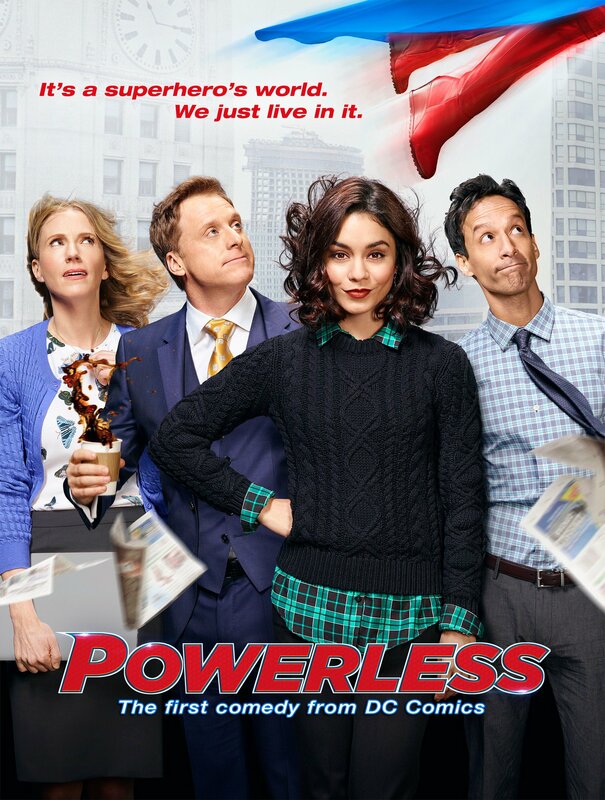 Powerless is set to premiere on NBC Thursday, February 2nd, 2017 at 8:30 EST. In the first comedy series set in the DC universe, Vanessa Hudgens (“Grease Live,” “High School Musical”) plays Emily, a spunky, young insurance adjuster specializing in regular-people coverage against damage caused by the crime-fighting superheroes. It’s when she stands up to one of these larger-than-life figures (after an epic battle messes with her commute) that she accidentally becomes a cult “hero” in her own right… even if it’s just to her group of lovably quirky co-workers. Now, while she navigates her normal, everyday life against an explosive backdrop, Emily might just discover that being a hero doesn’t always require superpowers. 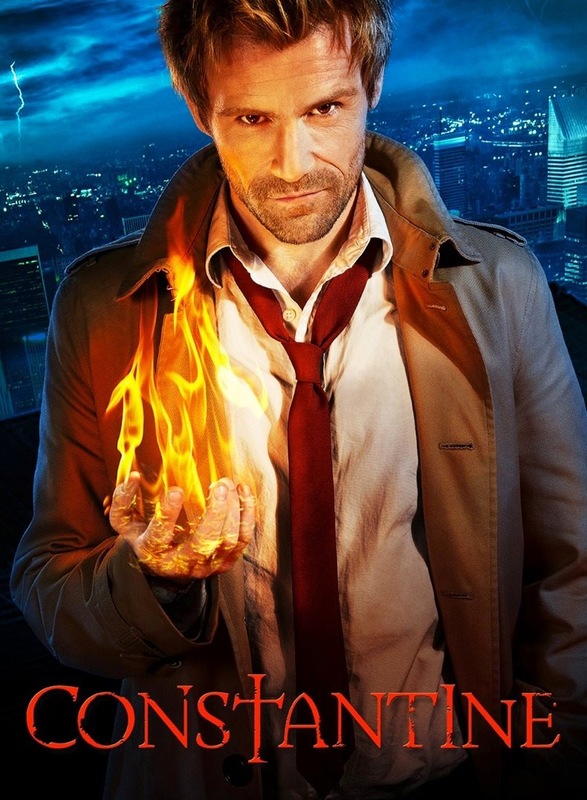 With the television upfronts taking place in New York City this past week, all the networks are showing off their line-ups for the fall television season and one of the shows that comic book fans might be looking forward to is NBC’s series “Constantine,” based on the Vertigo and DC Comics mainstay John Constantine, which just received a series order two days ago. 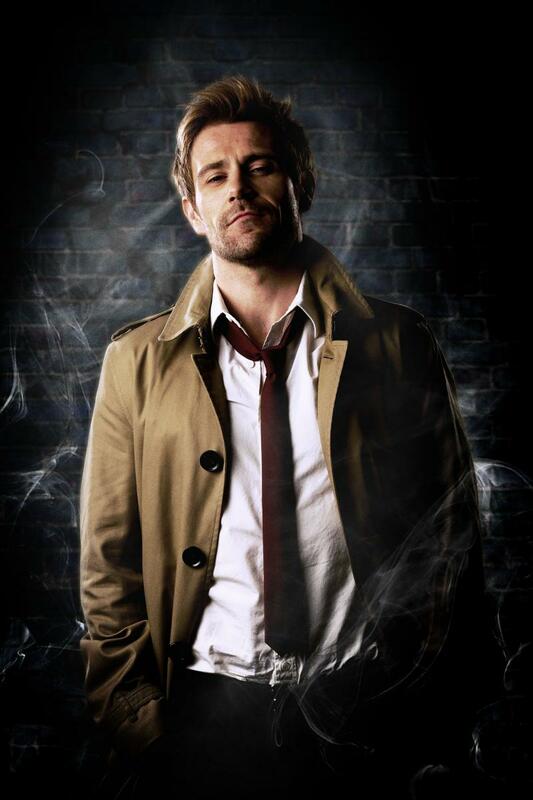 Starring Matt Ryan (“Criminal Minds”) as the chain-smoking supernatural detective first introduced by Alan Moore in Saga of the Swamp Thing before getting his own series Hellblazer , the show also stars Lucy Griffiths (“True Blood”), Harold Perrineau (“Lost”) and Charles Halford. Produced by Bonanza Productions in association with Warner Bros. Television with writer and executive producer Daniel Cerone (“Dexter”) and executive producer David S. Goyer overseeing it, the show looks like it will be closer to the DC/Vertigo Comics take on the character than the 2005 Warner Bros. feature starring Keanu Reeves. Constantine stars UK native Matt Ryan (Layer Cake, The Tudors, Torchwood) and follows enigmatic and irreverent Liverpool con-man-turned-occult-detective John Constantine, who is reluctantly thrust into the role of defending our world against dark forces from beyond. 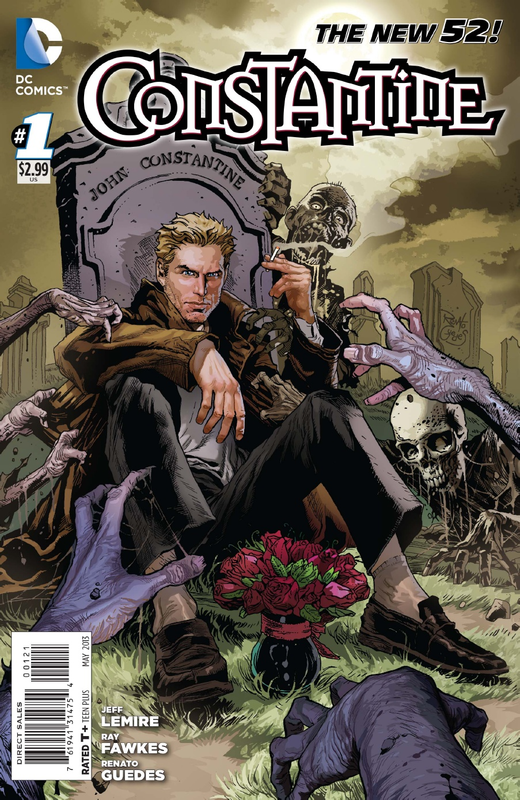 As DC Comics and Vertigo fans know, the character of John Constantine made his debut as a supporting character in Swamp Thing in 1985, before going on to star in Vertigo’s bestselling Hellblazer as well as his currently ongoing, self-titled series set within The New 52. The Constantine pilot is executive produced by Daniel Cerone (The Mentalist, Dexter) and David S. Goyer (The Dark Knight films, Man of Steel). Neil Marshall (The Descent, Game of Thrones) is directing from a teleplay by Daniel Cerone, with story by Daniel Cerone & David S. Goyer. Constantine is from Bonanza Productions Inc. in association with Warner Bros. Television, and is based upon characters published by DC Comics. Is The Revival of Heroes A Good Idea? NBC announced earlier this week that the Tim Kring-created series Heroes is set to return in 2015. 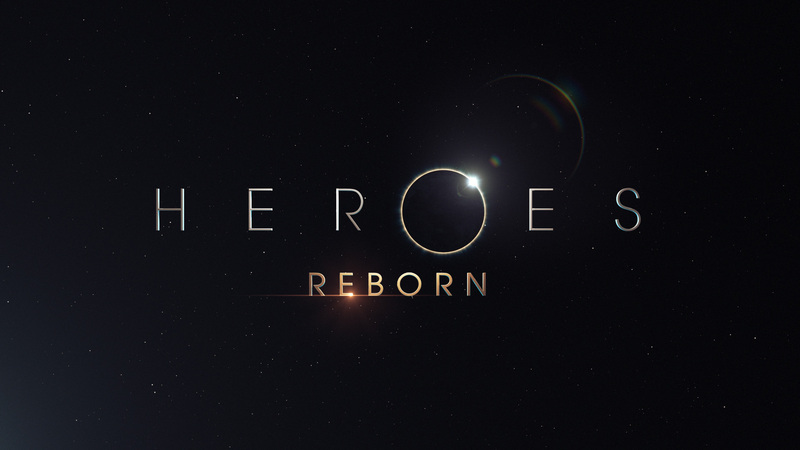 This time as “Heroes: Reborn”. In a press release, NBC said 13 episodes were in the works as an “event mini-series with original creator and executive producer Tim Kring at the helm”. Details on the storyline were not revealed, but NBC has suggested that some of the original cast could return. On the one hand, it’s no surprise that NBC would want to capitalize on the series, which ran from 2006-2010. It remains one of the best-selling TV series on DVD of all time with more than 10 million units sold. But bets are on as to whether fans will respond positively. While the show did earn nominations for big awards, saw record high ratings and enthused a generation of comic-loving viewers, the height of the wave was definitely season one. Heroes went steadily downhill from there. And so, the initial reaction has been mixed. Some are excited to relive those moments when we saw “ordinary” people discover, develop and use their super-human powers; perhaps Kring will get it right this time. Others are skeptical about the return; why revive something that many people lost interest in – a fact overly obvious by the series’ final viewer ratings. But here’s where the strategy gets interesting: to regain the support of former fans, NBC will launch a digital series prior to the 2015 premiere that will introduce the characters and new storylines. 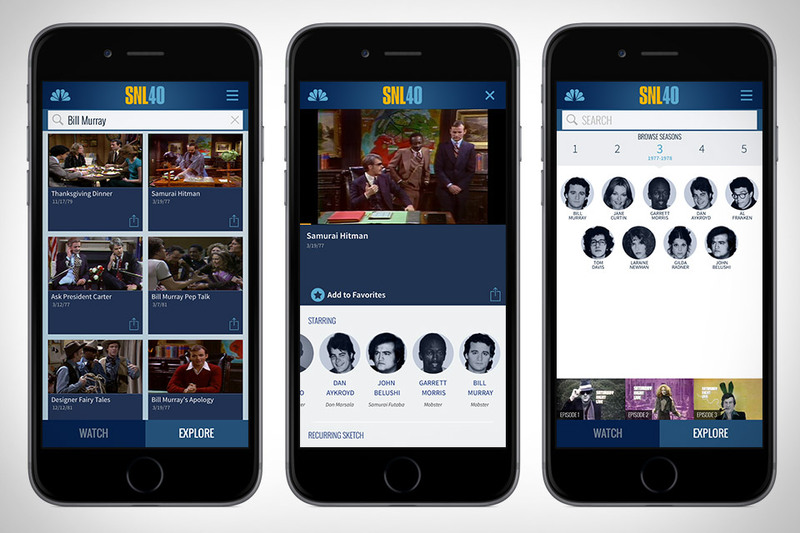 According to NBC, this leveraging of social media is a way for fans to re-engage with what was one for the true pioneers in multiplatform storytelling. This might generate enough hype and interest to give life back to the one-time great series. But just like a JackpotJoy Slot, a few things have to line up before Heroes: Reborn will win big. Will we see the likes of Zachary Quinto, Milo Ventimiglia, Adrian Pasdar and Hayden Panettiere return? Will Heroes continue as a kind of “Lost with super powers?” Will we go back to the popular basics? Or are people tired of this concept and the confusing developments Kring likes to throw in? If Kring’s last project, Touch – which had a familiar feel to Heroes – is anything to go by, one can’t help but wonder that NBC is making a mistake. 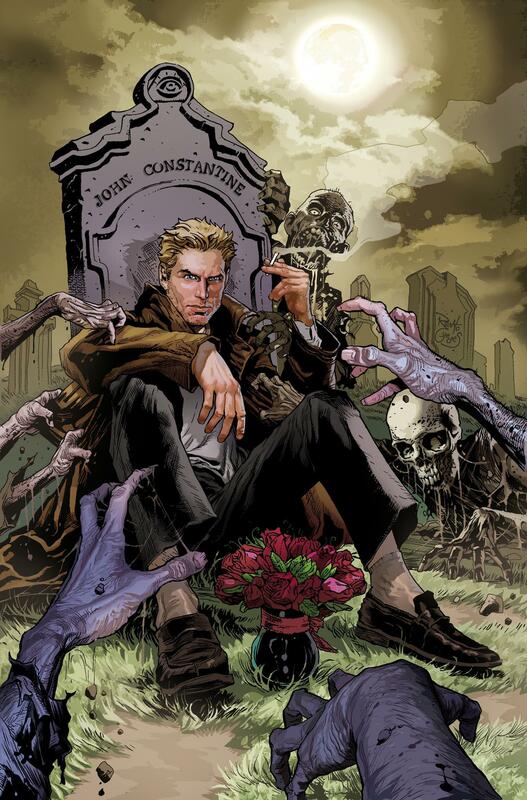 NBC has ordered a pilot for “Constantine,” based on the DC Comics/Vertigo character. Written by David S. Goyer (Batman Begins, Man of Steel) and Daniel Cerone (“The Mentalist”), it’s thought that the new series will use the character’s “New 52” series as its basis. Created by Alan Moore, John Constantine, a roguish magician/detective/conman, first appeared during the author’s run on “Swamp Thing” in 1985, receiving his own series, “Hellblazer,” under DC’s Vertigo imprint in 1988. That book ran for 300 issues before it was relaunched in DC’s “New 52” continuity as “Constantine” with a younger take on the antihero. The Constantine character was also brought to the big screen with a 2005 film directed by Francis Lawrence and starring Keanu Reeves. Guillermo del Toro confirmed last year that he was working on a script based on DC’s “Justice League Dark,” (tentatively titled Dark Universe) that would include John Constantine as a character. As to how that film winds up being affected by these new television plans remains to be seen. The new season of SNL is just around the corner and Tina Fey will return to kick off the 39th season with musical guest Arcade Fire. It will be the fourth time appearing as host/musical guest for both of them. Miley Cyrus will do double duty as host and musical guest on October 5th. Then on October 12th, Bruce Willis will host with Katy Perry.